signed: In the lower right corner below Newton's foot is: "R MARTA". exhibition history: OMCA, Gallery of California Art, Open Space 2/3, "2000 and Rising," May 1 - Aug. 1, 2010. 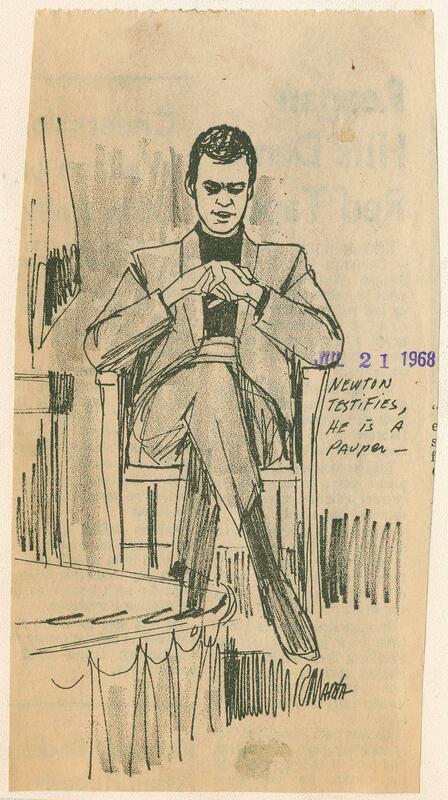 One of two courtroom drawings in the case against Huey P. Newton, a Black Panther. 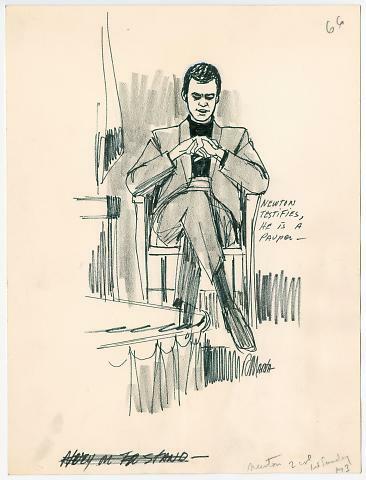 This drawing shows Huey Newton on the stand, legs crossed, hands clasped, wearing a black turtleneck and sportcoat. Text on drawing says: "Newton testifies, he is pauper." 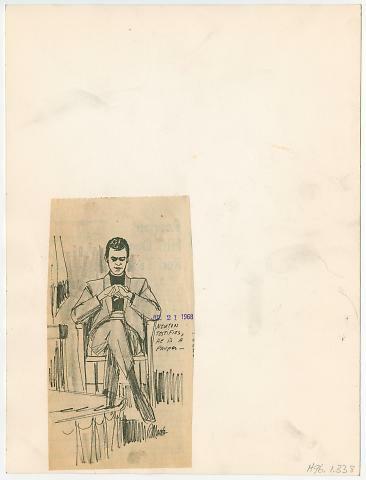 Drawing is in black ink on thick, textured, white cardstock.